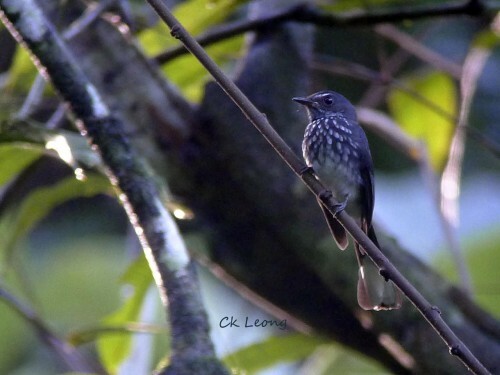 Of the 3 fantails found in Borneo, I really think the Spotted Fantail Rhipidura perlata is the better looking! But looks aside, there is also differences in behaviour. I notice that the Spotted does not fan its tail as often as the other fantails and it sits in a more upright position. Otherwise, like the others, it is an active insectivore, pursuing its prey from all angles. 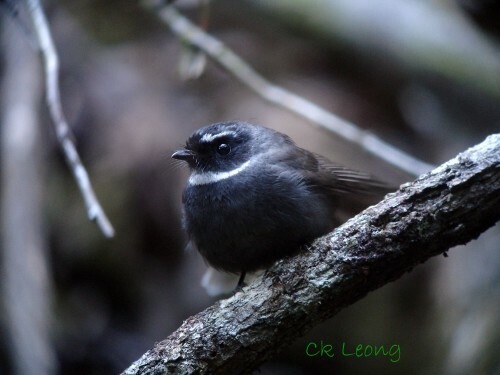 I took the picture of this White-throated Fantail in Mt Kinabalu so I suppose it should be Rhipidura a. kinabalu but I really have a problem with the white throat. By all accounts it should have a white throat and chin but all the birds of this species that I have seen seem to have black chin. Perhap my vision is blurred by the constant motion of the bird but have a second look at the picture.